For all levels of experience using Soft Pastels. 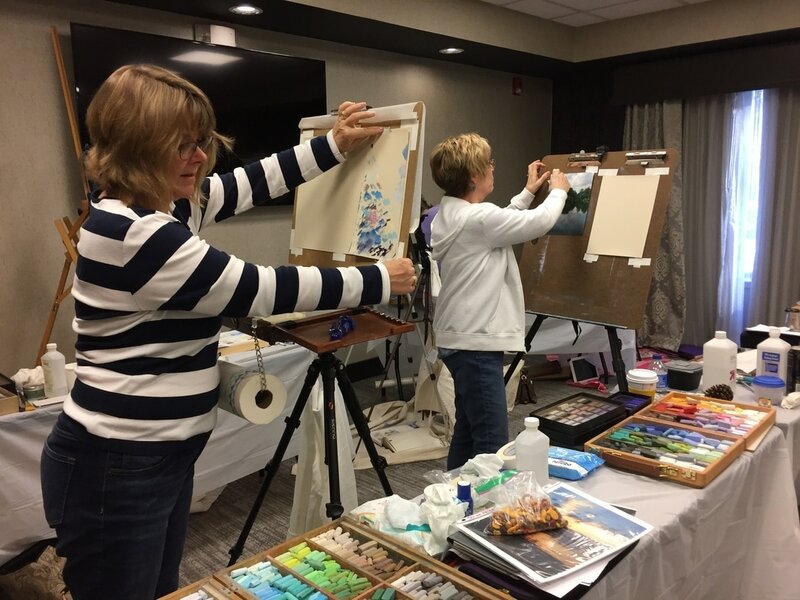 Every painting including a still life, relates a story, told by the subjects that we choose to paint and how we present them through our individual expressions. 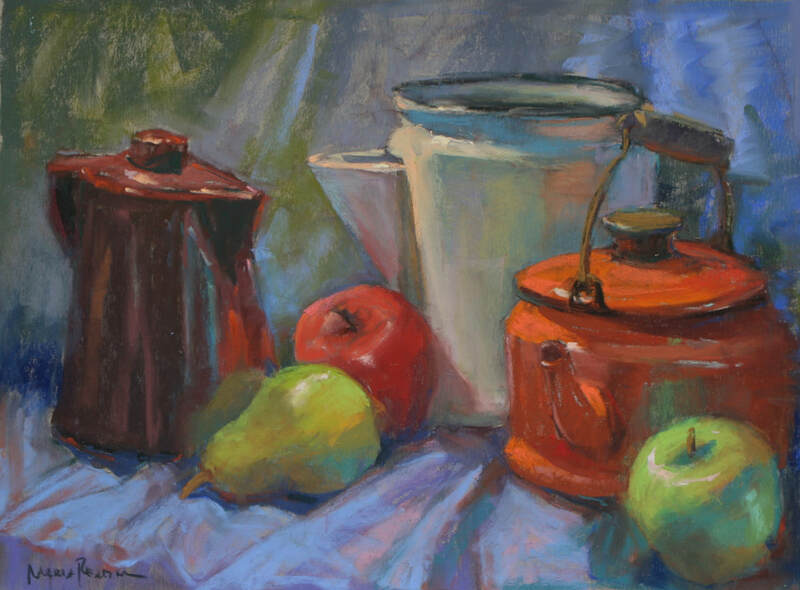 Using your own favorite still life objects for subject matter, we will explore the pastel painting process. 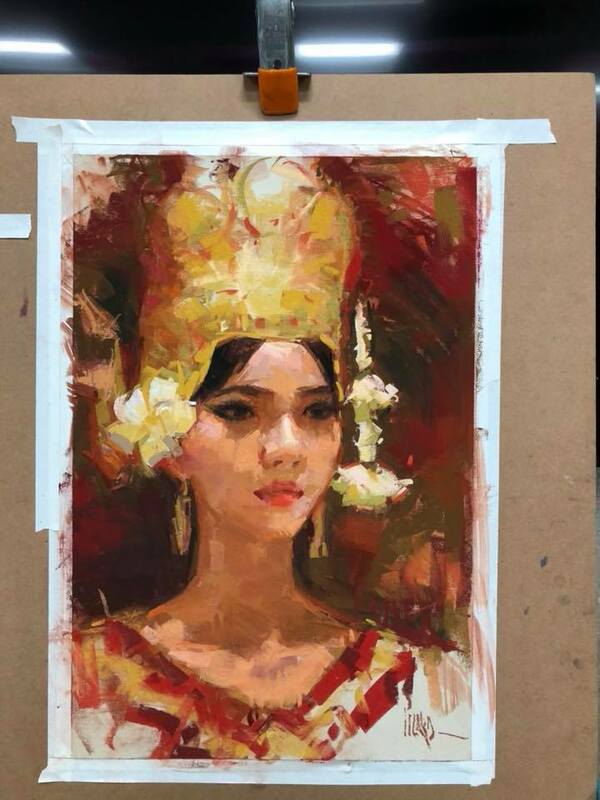 We will start with setting up and lighting the arrangements, then by using thumbnail sketches and color studies we will then transition into full size paintings. 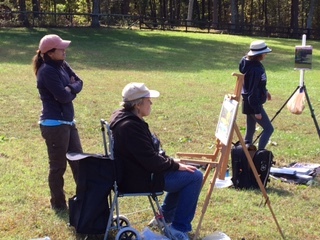 Observation is essential to the painter and students will learn how to see with artist eyes in order to convey their vision and ideas. 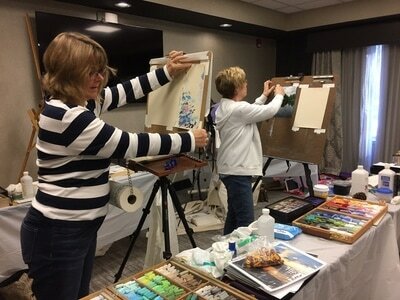 Beginners will be encouraged in developing their skills and intermediate and advanced students will be nudged to the next level. 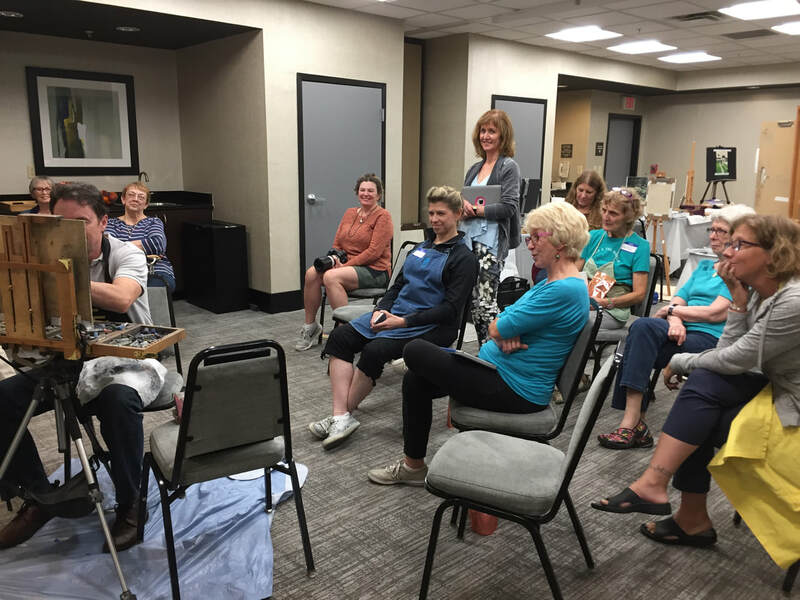 Maria will present demos, instruction for all levels of experience and lots of personal attention. 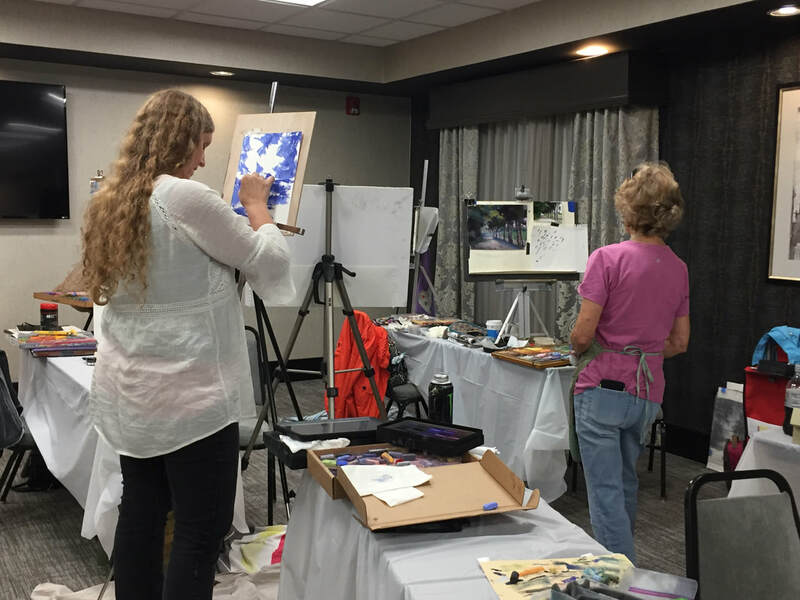 "Maria Reardon paints the world around her. 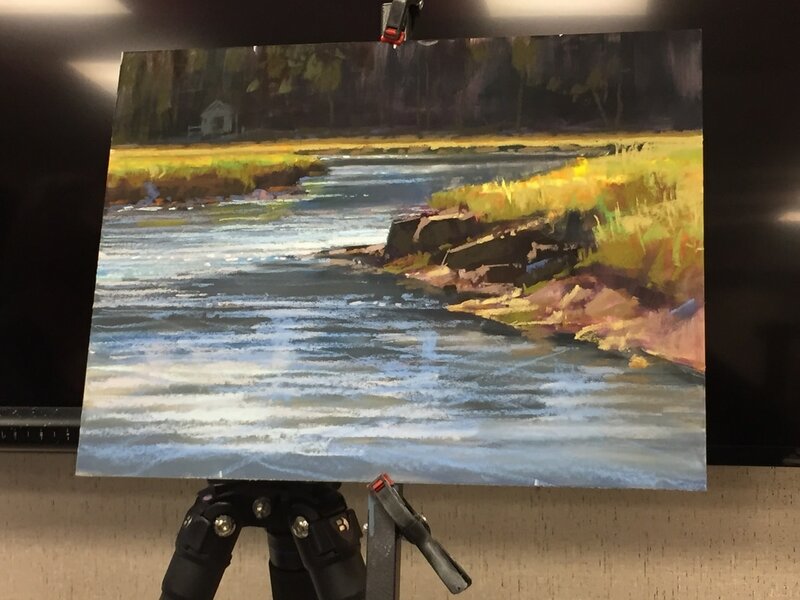 Working primarily in pastels, she loves being outdoors, immersed in nature, observing and experiencing everything going on around her. 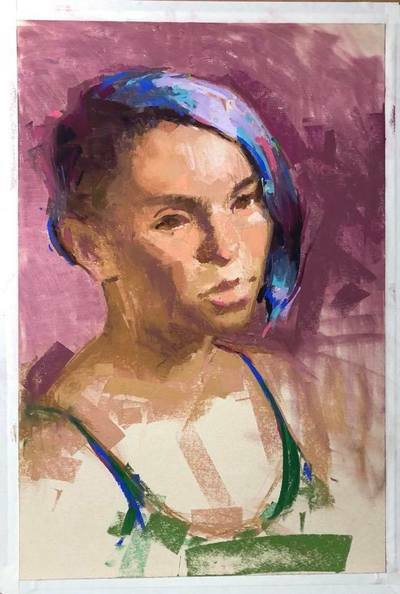 She's drawn to the unique and ever-changing relationships of form and color. 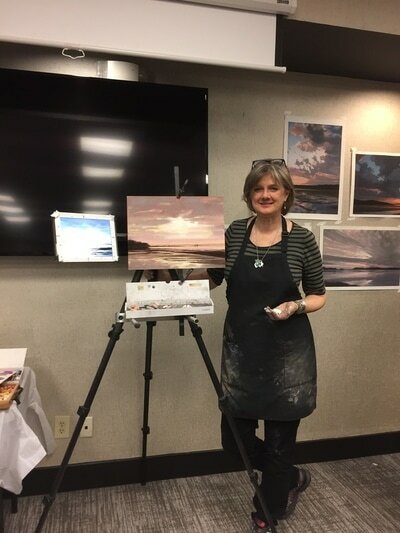 Her passion is pastels and plein air, using the vibrant and diverse colors of the pastel medium, in a painterly fashion, to represent the light and mood of a particular location. 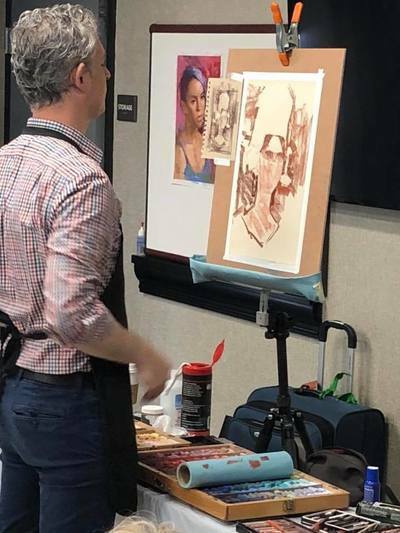 Maria is a Virginia native and received her formal education from Virginia Commonwealth University, earning a Bachelor’s of Fine Art in illustration. She studied portraiture with Daniel Greene and continued her study of the landscape with Albert Handell, Lorenzo Chavez and other nationally known artists. 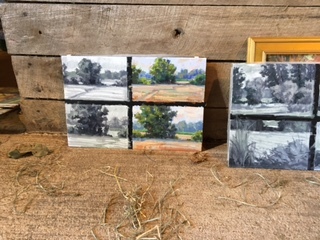 Her work has been exhibited in the Richmond area and is in private collections. 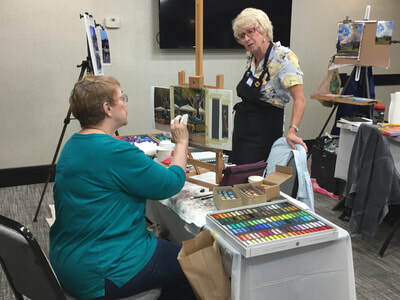 She has received awards during plein air events and gallery shows and has had her work published in the Pastel Journal July/August 2017 issue. 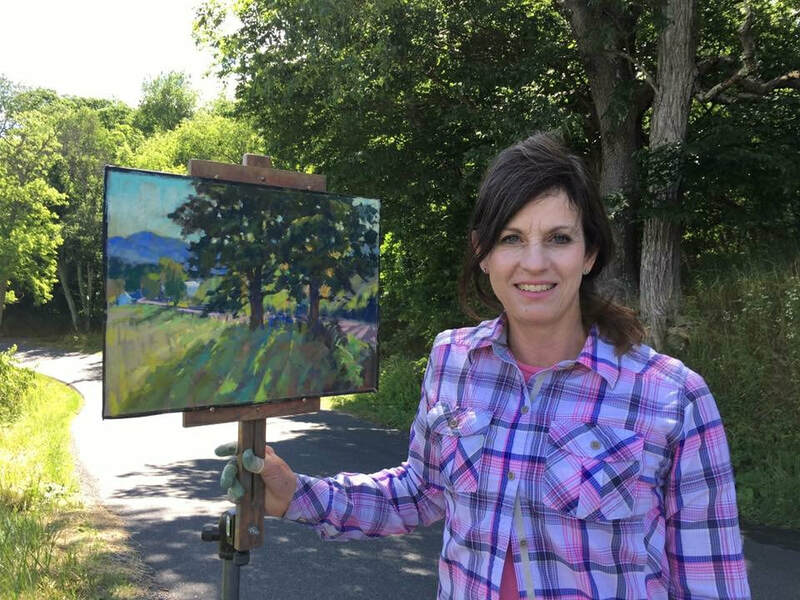 She enjoys working in the plein air tradition, working directly from life for the creation of most of her pastel paintings and she often travels for inspirational landscape locations. 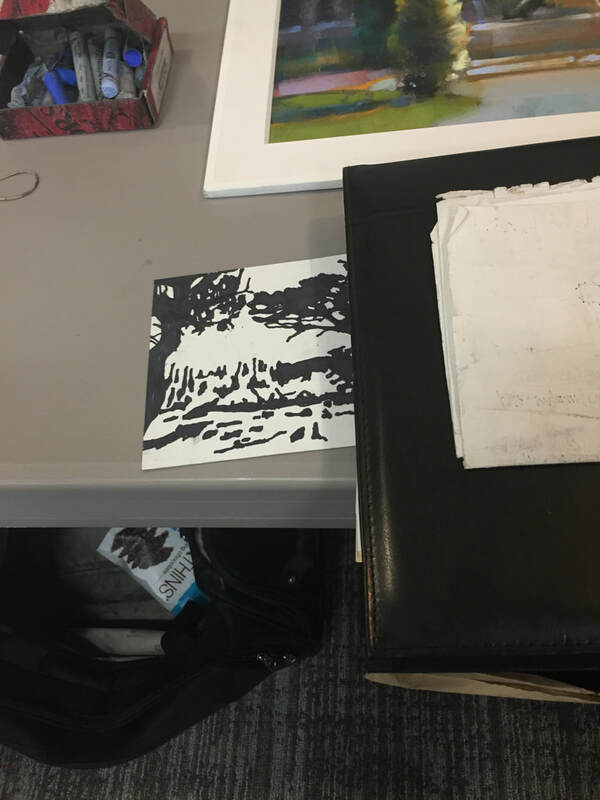 She participates in plein air events and is currently represented by For Art’s Sake Gallery (Richmond, VA), Crossroads Art Center (Richmond, VA), Cabell Gallery (Lexington VA) and Allure Art Center (White Stone VA)." 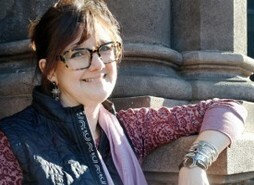 Please visit Maria Reardon's website at www.mariareardon.com to learn more about her. 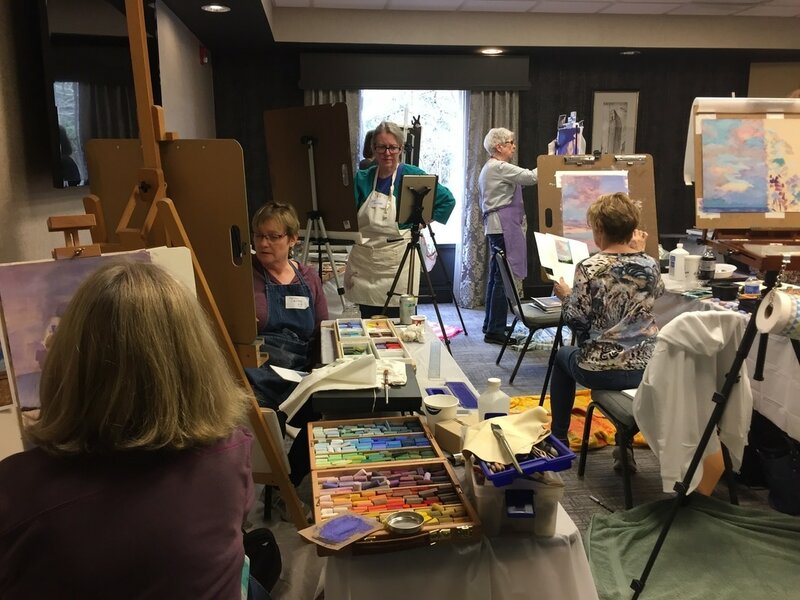 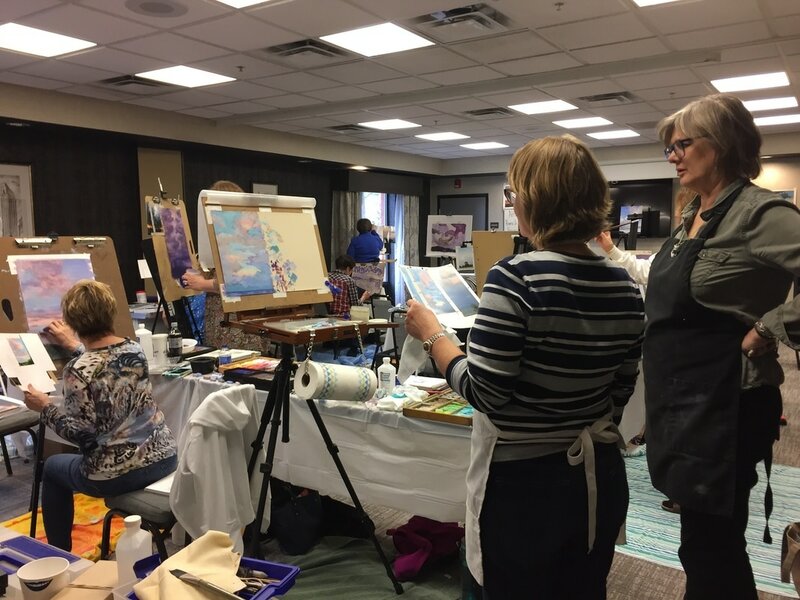 In this workshop, we will learn how to light, pose, sketch and photograph our portrait subject, and work from studies and photographic reference materials to create lifelike painterly portraits. 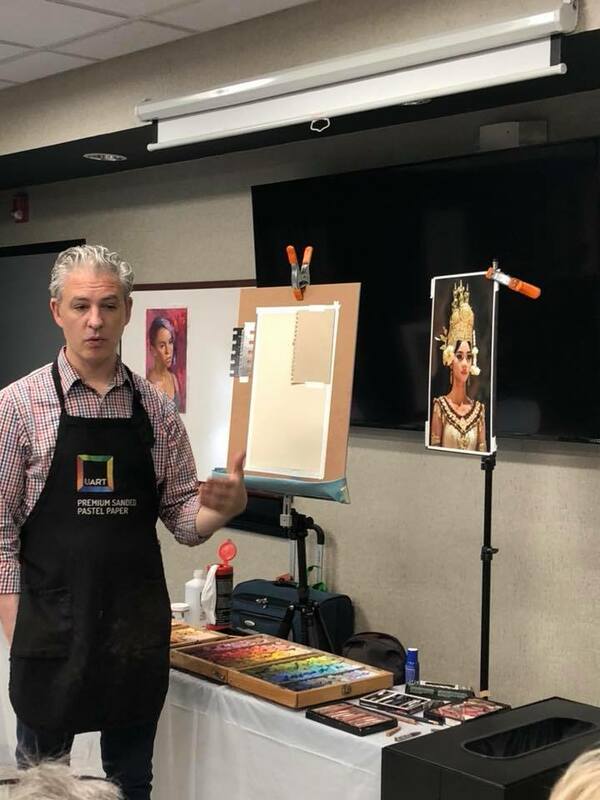 Alain will begin day one with a pastel portrait demonstration of the painterly approach to pastel, using the live model. 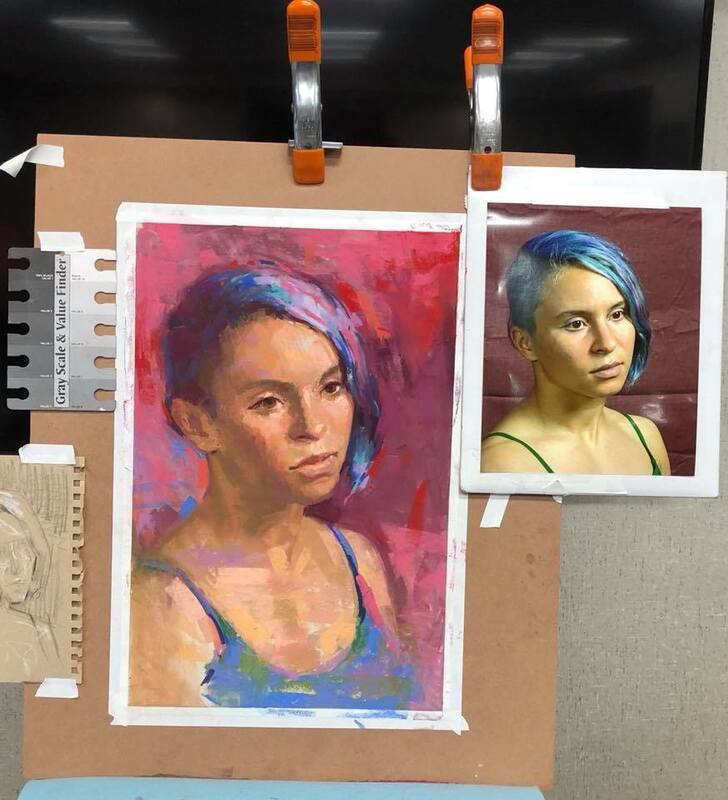 This demonstration covers explanations of pastel portrait techniques for creating an accurate likeness, establishing clear values, massing in the portrait, evaluating color relationships and selecting skin tones, developing a painterly style, and harnessing the power of strong design. 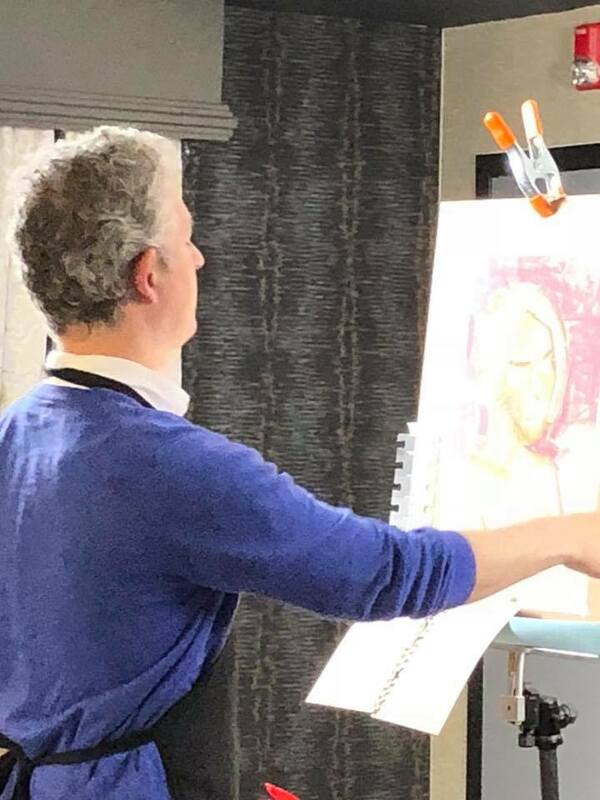 We’ll also cover strategies for successful posing and lighting of the subject whether in studio or on location, with children or adults. 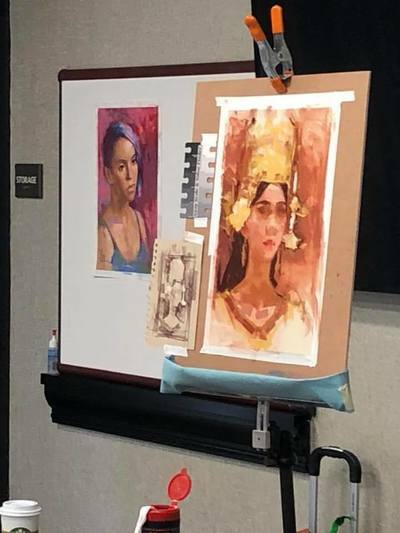 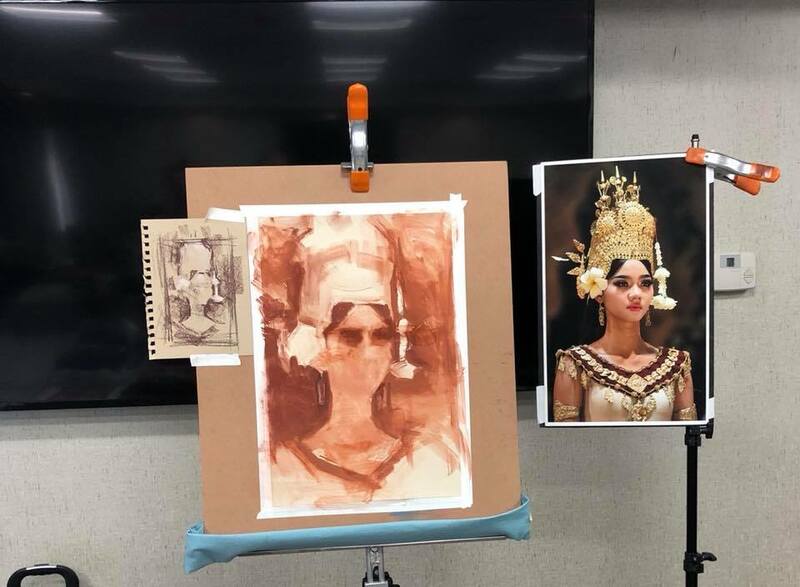 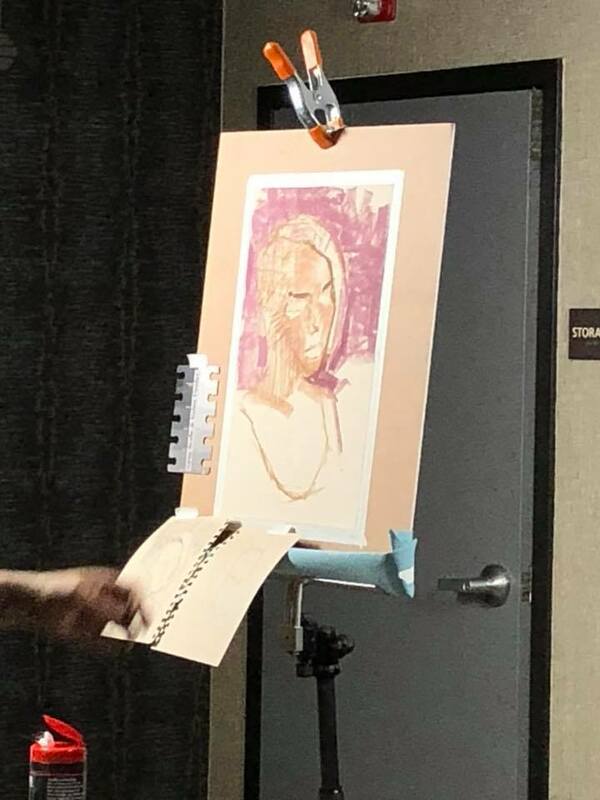 Students will sketch from the live model, creating their own exploratory studies, compositional approaches and color notes, honing in on their portrait composition. 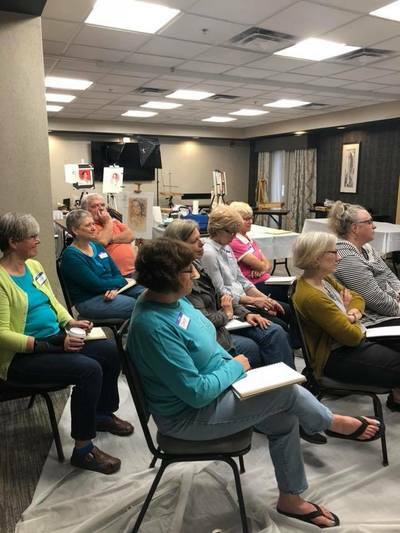 We will all photograph our models together in a guided photo-session, discussing how to capture strong reference material using a digital SLR or mirrorless digital camera, and even how to get better results from your iPhone. Days two and three of the workshop will be devoted to developing our portraits from the photographic reference we’ve gathered. Students can also choose to bring their own portrait references to work from. We will be learning how to use this reference as a tool in creating lifelike painterly portraits. 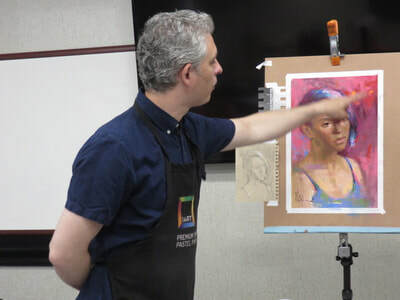 Alain will demonstrate how to develop and refine a portrait started from life by using photographic reference. He’ll also demonstrate a complete portrait study from a photograph start to finish, revealing how it can be used as a tool to create fresh, loose lifelike portraits. 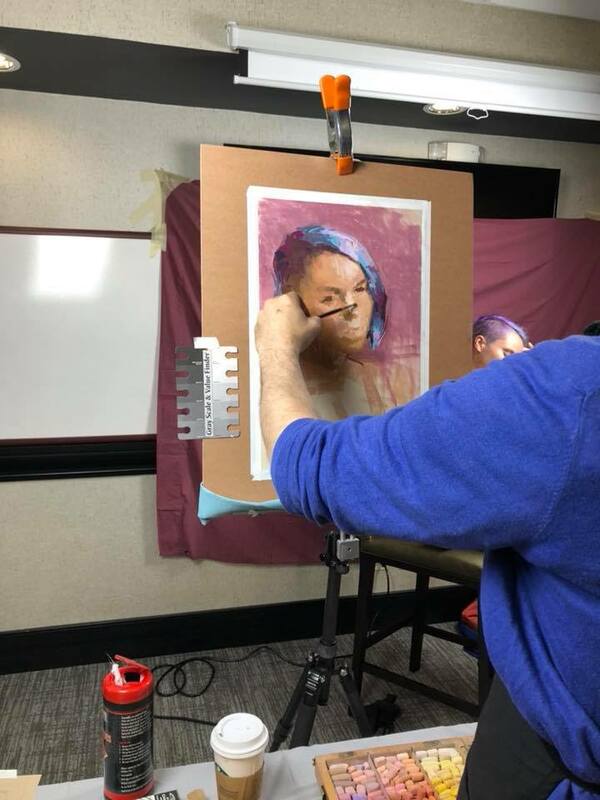 We will cover effective techniques for refining your portrait and end with a constructive critique. 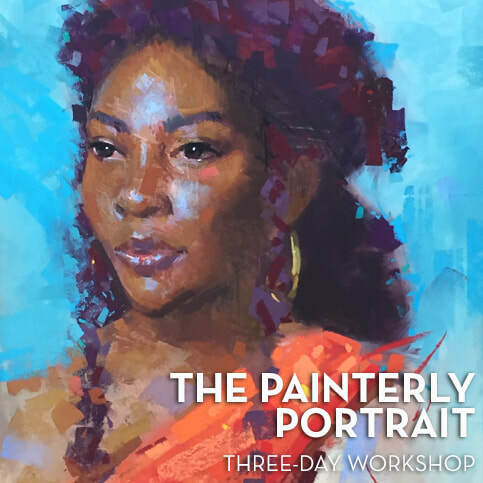 You will leave feeling empowered with working knowledge to create your own painterly portraits from photographs. 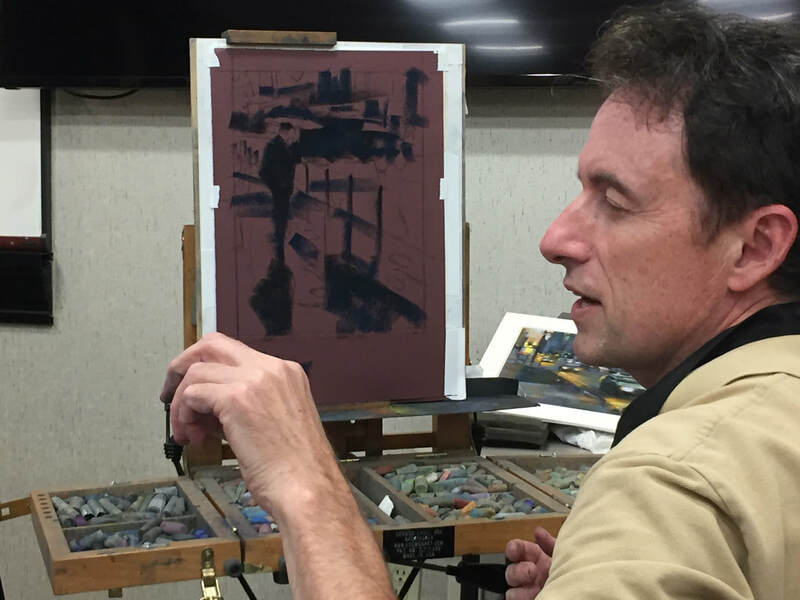 The MidAtlantic Pastel Society hosted Desmond O'Hagan for a three-day workshop, "Capture Light-Interpret Values and Shapes" in September 8-10, 2017. 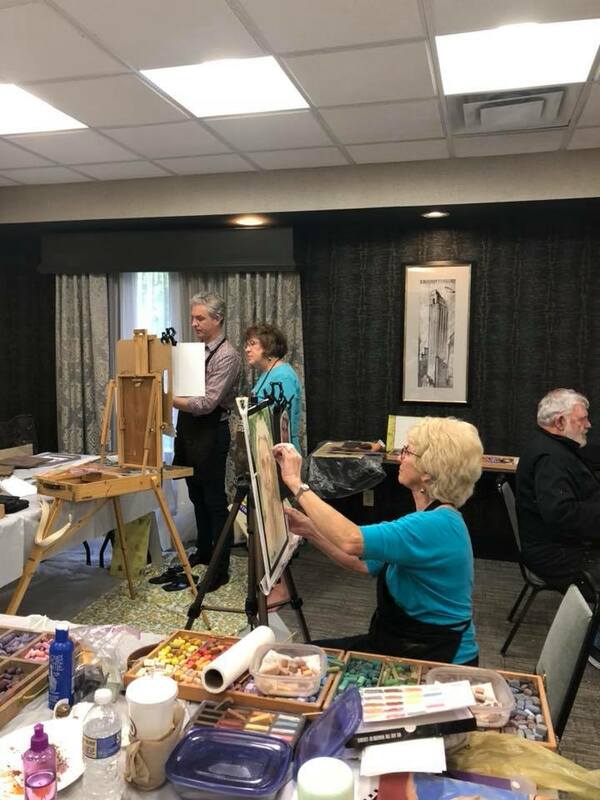 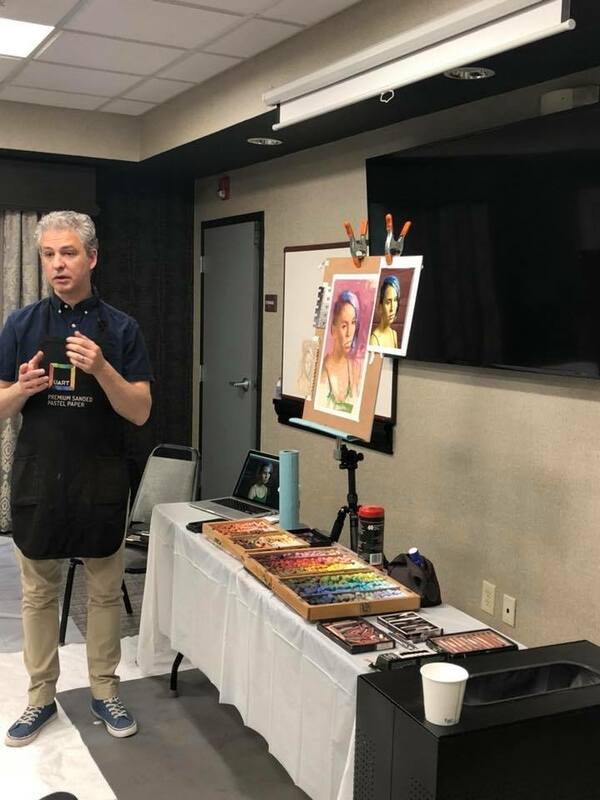 The workshop was at the Hampton Inn and Suites Richmond/Virginia Center in Glen Allen, Virginia, 1101 Technology Parkway, Glen Allen, VA.
Desmond O'Hagan is a master pastelist with the Pastel Society of America, and is a member of the "Master's Circle" of the International Association of Pastel Societies. He has been a professional artist for over twenty years and has had numerous one-man shows throughout the United States. 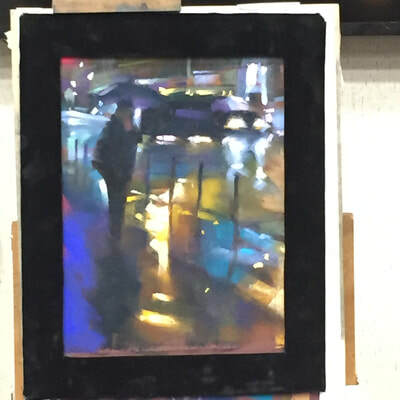 He has also participated in group shows in Japan, China, and France. 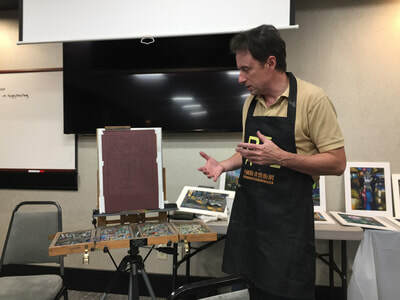 O'Hagan has received several awards for his art through the Pastel Society of America, IAPS, and the Salmagundi Club in New York City. 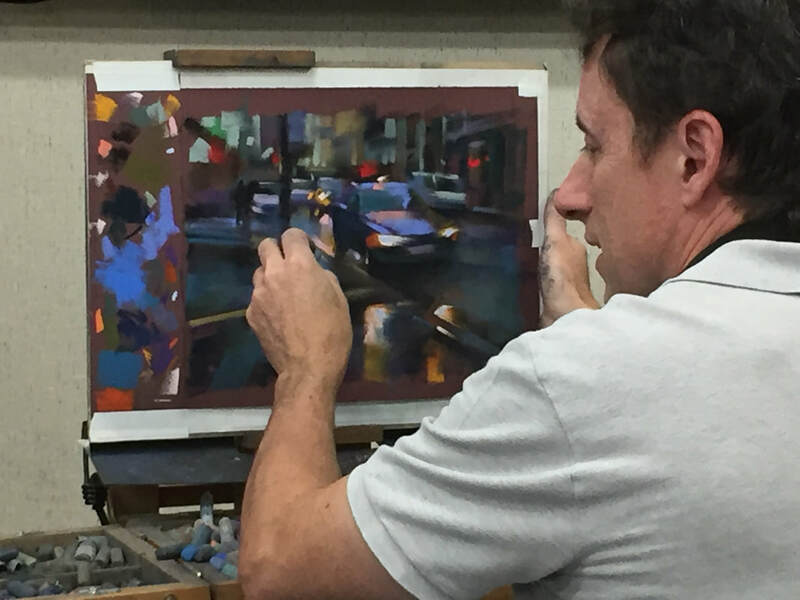 He has judged many national shows for pastels and oils and conducted workshops throughout the United States. 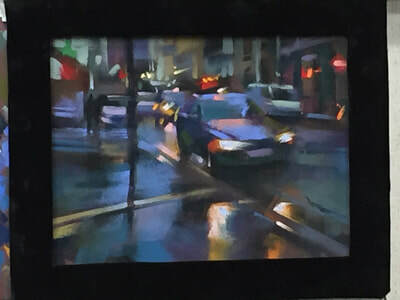 Desmond has judged the portrait/figurative paintings for The Pastel Journal's 2009 Pastel 100, and was a juror for the 2011 International Association of Pastel Societies' convention exhibition. His paintings have been featured in several publications and books, including "American Art Collector", "International Fine Artist", "The Artist Magazine", "The Pastel Journal", "Southwest Art", "American Artist", "Artists and Illustrators" (England), United Airlines' "Hemispheres" magazine, The Best of Pastels/The Best of Oils, and "Gekkan Bijyutsu" (Japan). 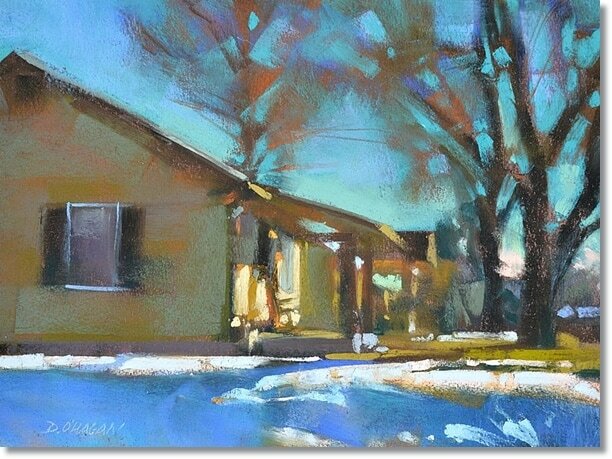 O'Hagan's paintings are represented by galleries in Santa Fe, NM, Denver, CO, and Edmonds, WA. 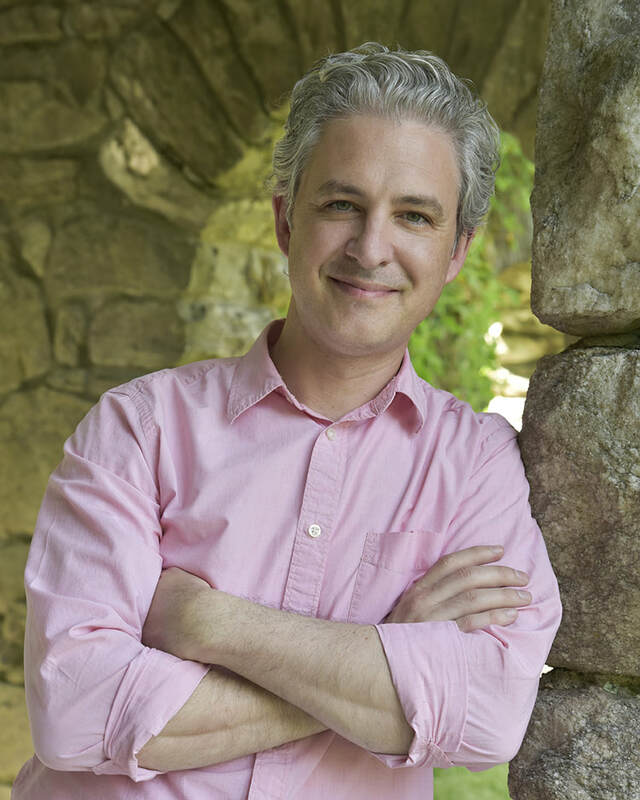 Please visit Desmond O'Hagan's website at desmondohagan.com to learn more about him. 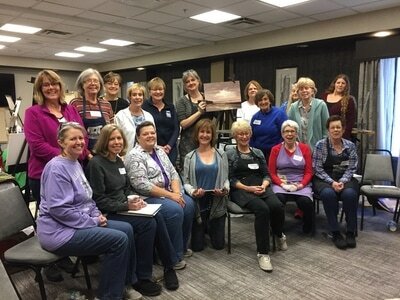 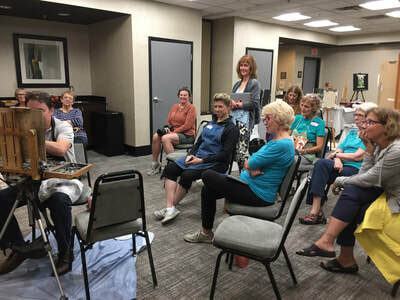 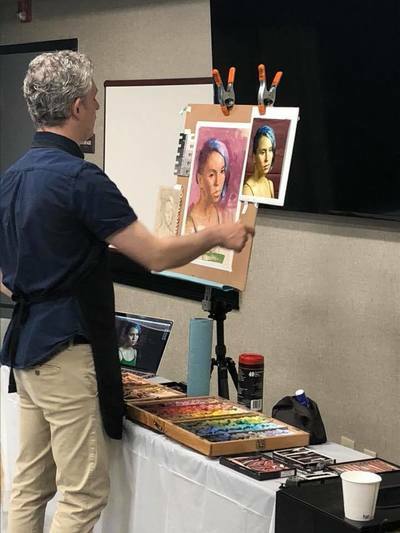 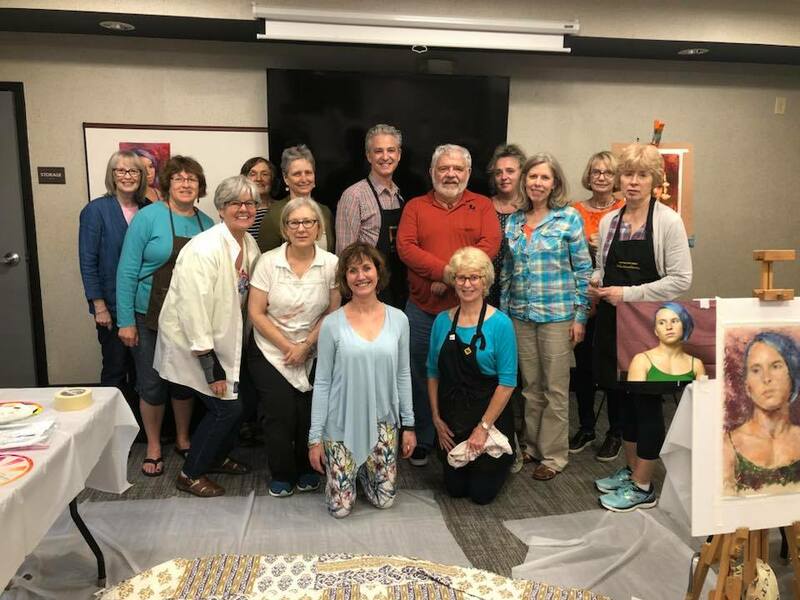 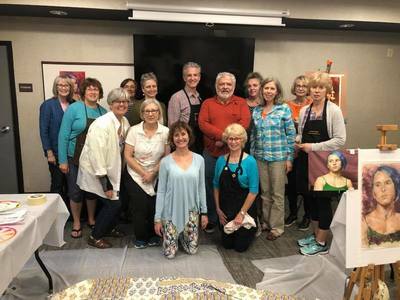 ​Participants had fun while learning new techniques from master pastellist Desmond O'Hagan. 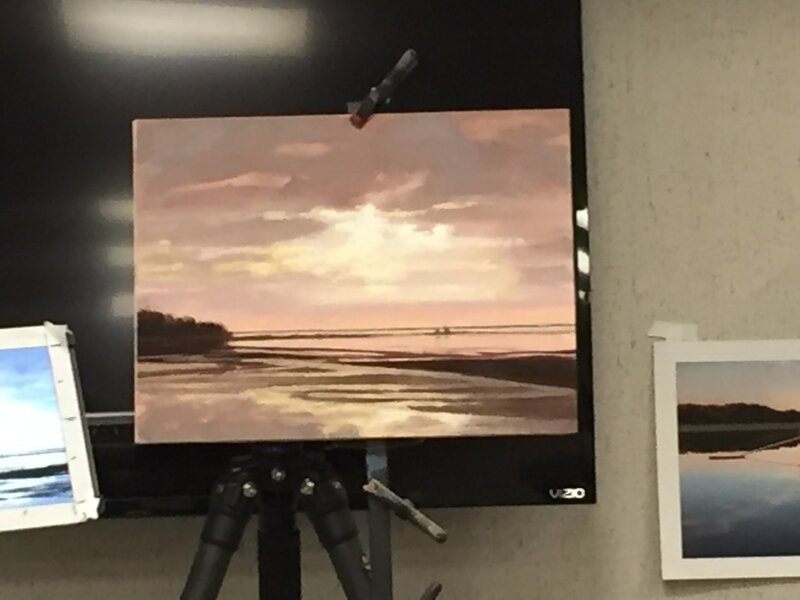 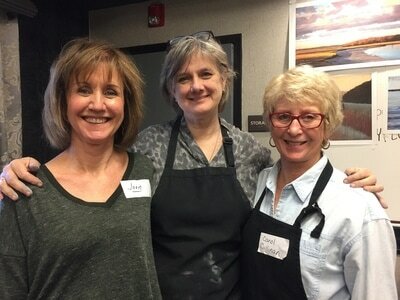 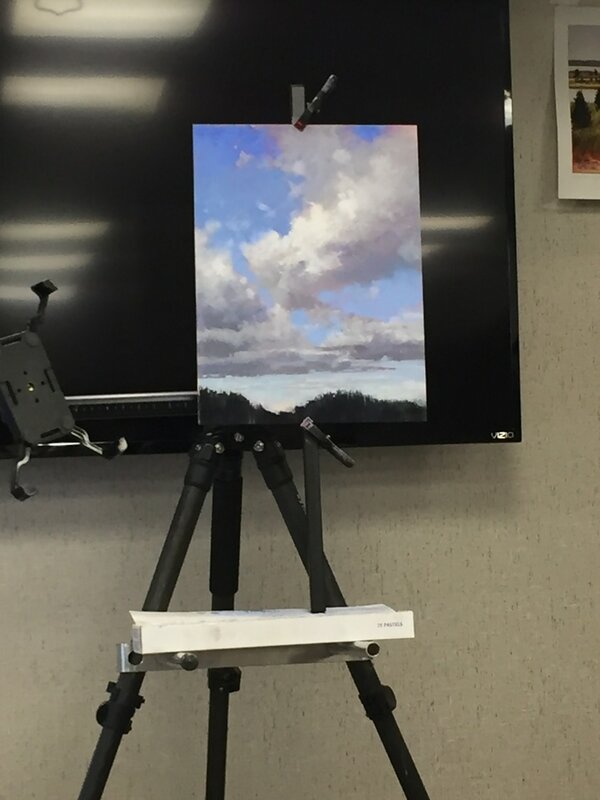 The MidAtlantic Pastel Society hosted renowned pastel artist Liz Haywood-Sullivan for a three-day workshop, "Painting Brilliant Skies and Water" on February 18-20, 2017. 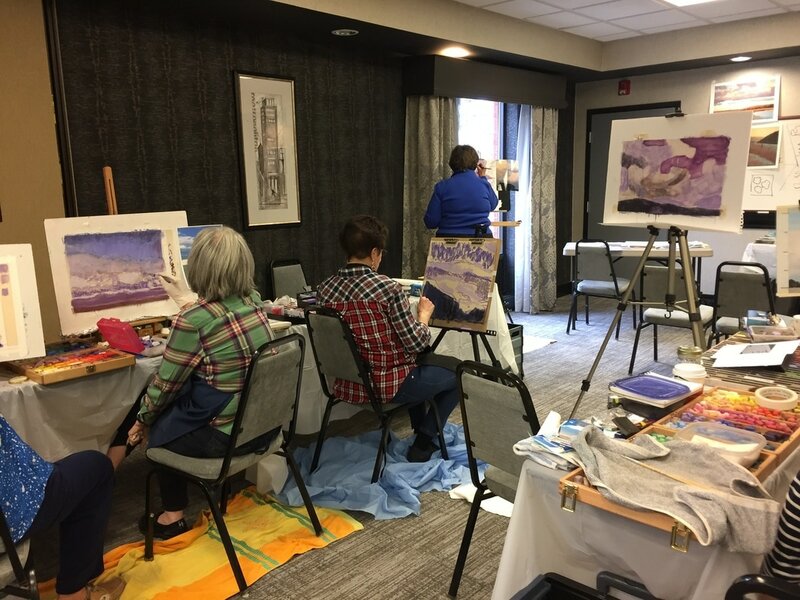 The workshop was at the Hampton Inn and Suites Richmond/Virginia Center in Glen Allen, Virginia, 1101 Technology Parkway, Glen Allen, VA.
Liz Haywood Sullivan is president of the International Association of Pastel Societies (IAPS) and a signature member of the Pastel Society of America, Connecticut Pastel Society and Pastel Painters Society of Cape Cod. 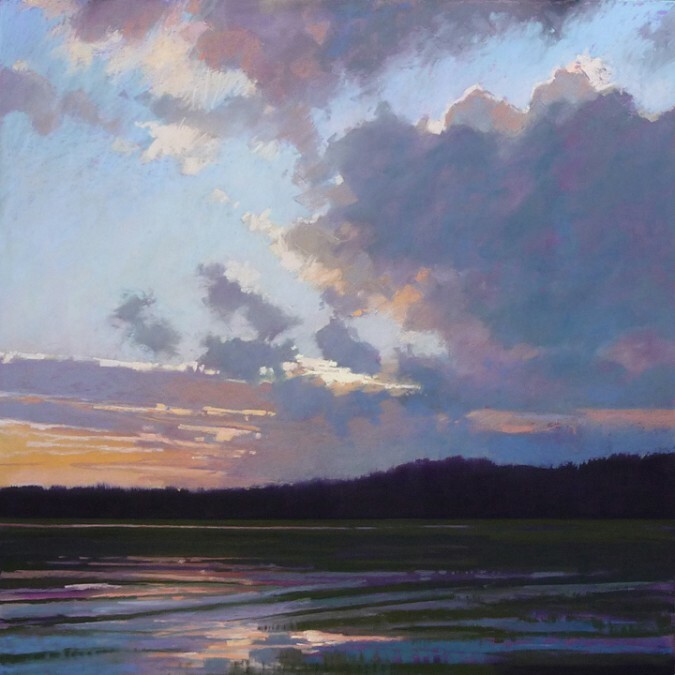 She is the author of Painting Brilliant Skies and Water in Pastel and her work has been included in several pastel publications and books. 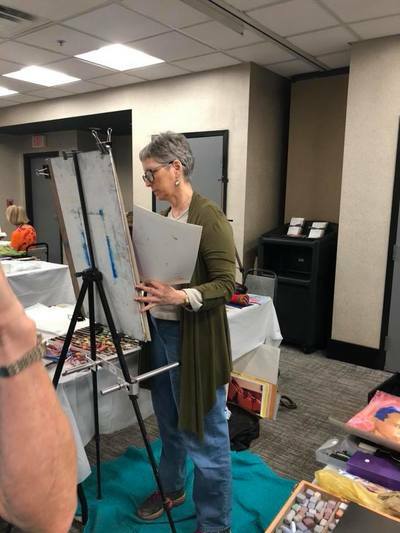 She is a sought after teacher and judge. 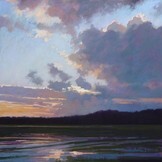 Find out more about her at her website www.lizhaywoodsullivan.com. Judged Exhibit At Cultural Arts Center of Glen Allen: Liz Haywood-Sullivan was the judge for our First Annual Judged Exhibit! 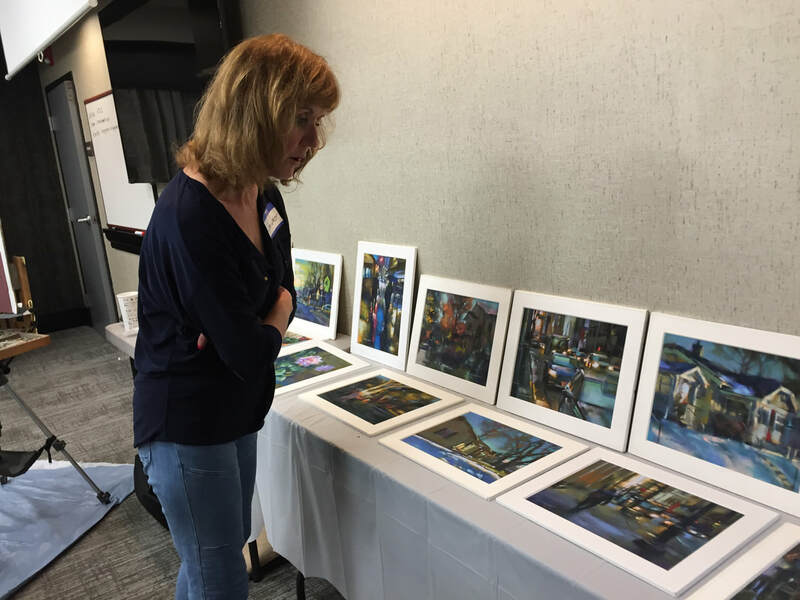 ​The exhibit was on display at the Cultural Arts Center of Glen Allen from January 26 - March 26, 2017, with the awards reception on Friday, February 17. Click here for more information on the exhibit. ​Workshop participants had a great time and worked hard at our three-day workshop with Liz Haywood-Sullivan. 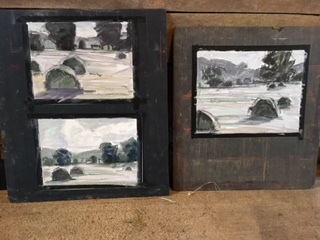 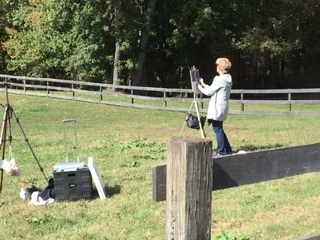 Maria Reardon led a one-day plein air workshop on October 22, 2016 from 9:30 am to 3:30 pm, at her farm in Rockville, Virginia. 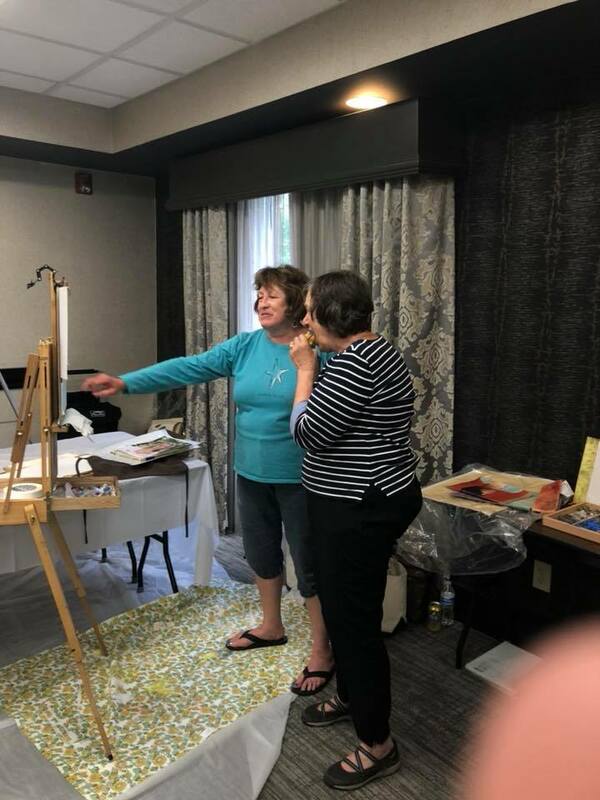 This workshop was for all skill levels. 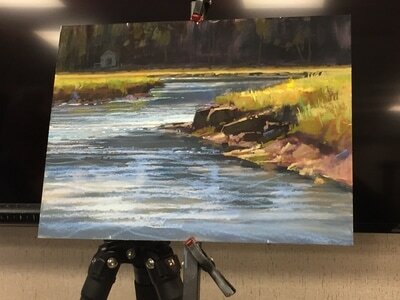 She demonstrated her approach to painting the landscape with pastels, discussing tools and equipment and her process for capturing the fleeting moments in nature. The cost of the workshop was $80.00 ($82.50 if paying by Paypal). Click here to view or download workshop details and a supply list. Maria Reardon, a charter member of the MidAtlantic Pastel Society, is a Virginia native with a BFA from Virginia Commonwealth University. 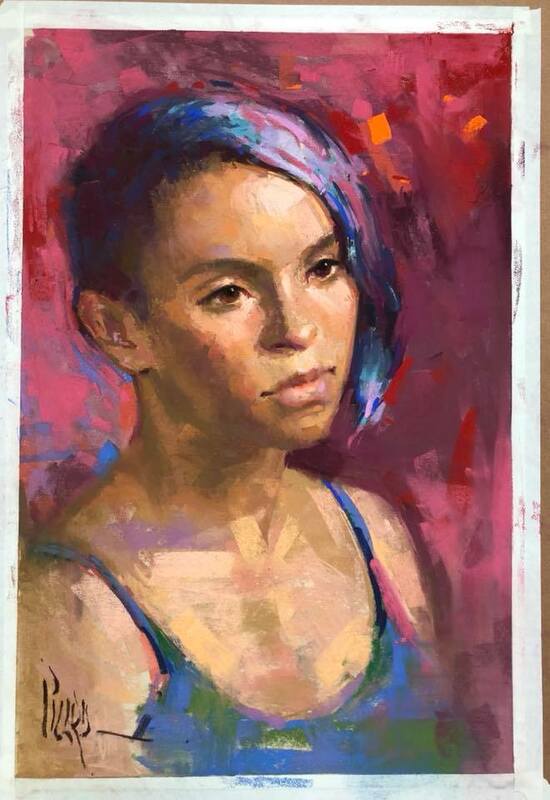 She has studied with Daniel Greene, Albert Handel, Lorenzo Chavez and other nationally known artists. 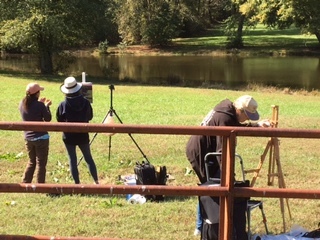 She loves being outdoors and paints landscapes en plein air. 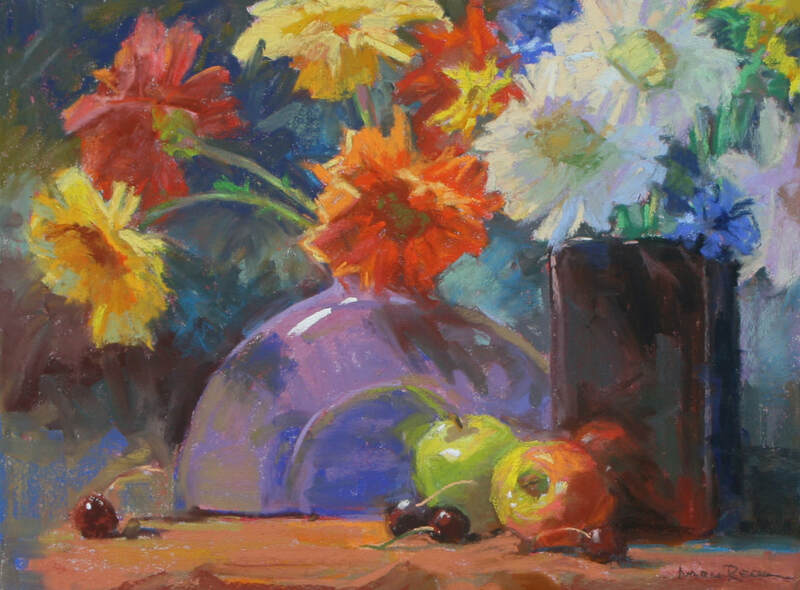 She focuses on still life painting when in the studio. 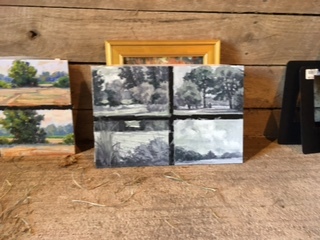 Her work has been exhibited throughout the Richmond area and is in private collections. 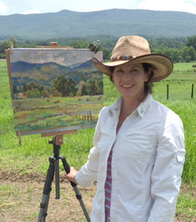 Find out more about Maria at her website www.mariareardon.com.